Not only the former, but also the current leaders of the Volkswagen concern, it is better not to renounce jails and soums these days. In the field of view of the law enforcement agencies of Germany and the United States, the third year investigating the large-scale manipulation of data on harmful diesel exhausts, new top managers of this German auto giant and its subsidiaries Audi and Porsche are getting. On Monday, June 18, the head of Audi Rupert Stadler was taken into custody. This is the first in the framework of the diesel scandal, the detention of the current head of the whole company. However, the most notable name in this matter is another: Martin Winterkorn. In 2007-2015, he served as Chairman of the Board of the Volkswagen Group (VW) and was – both by virtue of his position and due to his personal qualities – one of the most powerful and well-paid captains of big business in Germany. 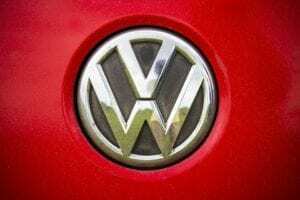 But it was with him that the company began to install on commercial scale diesel-powered cars of Volkswagen, Audi and Porsche brands, software that fraudulently understated the content of harmful substances in the exhaust emissions. That is why Winterkorn in September 2015, as soon as the US revealed these manipulations, resigned, stressing that he assumes responsibility as head of the firm, but he personally did not allow any violations. For one and a half years it seemed that by this retirement he had brought himself out from under the blow. However, in January 2017, the Prosecutor’s Office of Braunschweig reported that it was expanding the number of defendants in manipulating the emissions of diesel cars and that now 71-year-old Martin Winterkorn is on this list. He is charged with fraud and violation of the law on fair competition, as well as the manipulation of the market. Such a charge was put forward by the Stuttgart prosecutor’s office. And the US authorities in May 2018 even issued a warrant for the arrest of Winterkorn. Since Germany does not extradite its citizens to the United States, the former Volkswagen does not face an American prison until it leaves the territory of Germany. When it comes to court and there it will be proved that the head of the concern learned about the manipulations much earlier than he now admits, or, moreover, helped them, the multimillionaire may lose a significant part of his fortune. But the 49-year-old Oliver Schmidt, who in 2012-2015 was responsible for environmental issues in the American division of Volkswagen, did not immediately blame his guilt, but admitted. He was arrested in January 2017 in Miami (where he had come from Germany on a hard-to-explain naivete) and until August persistently denied his guilt. However, Schmidt then went on a deal with the prosecutor’s office, which in response withdrew most of the charges against him. As a result, in December last year, the top manager was sentenced by a court in Detroit to seven years in prison and a fine of $ 400,000 for a conspiracy to deceive the authorities of the United States and for violating the law on air purity. After all, Oliver Schmidt assured US officials several years that the cars of the Volkswagen concern fully comply with the environmental standards in force in the country. Schmidt became the second manager of Volkswagen, serving time in an American prison. The first is a citizen of Germany, 64-year-old engineer James Robert Liang, sentenced in August 2017 in Detroit to 40 months in prison and a fine of $ 200,000. He admitted that he participated in the development of software for diesel engines to deceive authorities and buyers, and actively cooperated with the investigation, becoming his key witness. September 2015. The US Environmental Protection Agency (EPA) publishes a sensational investigation. It is claimed that a minimum of half a million Volkswagen cars with diesel engines installed software that allows you to bypass standards. Emission of harmful substances exceeded the norm by almost 40 times. The carmaker faces a fine of no less than $ 15 billion. Compensations to buyers of Volkswagen cars, on which the software, underestimating the actual emissions of harmful substances, stood at $ 15 billion, which was a record for the industry. The exact amount of payments will be announced by the American representatives of the German giant in Washington. According to media reports, the final amount includes $ 10 billion to repair or repurchase defective cars and up to $ 10,000 compensation for each of the 428,000 owners of these diesel-powered cars. In addition, $ 5 billion will have to go to the study of environmental impact from poor-quality motors. Last year, US authorities ordered Volkswagen to withdraw almost half a million cars that were launched to the US market from 2009 to 2015. In addition, the investigation is being conducted in several other countries. In January, the US Justice Department filed a lawsuit against the corporation after the company confessed its fraudulent activities with the emissions of its diesel cars. In this regard, the final amount of compensation will have to be approved by the court in Detroit. According to the company, falsification of test results affected 11 million cars with diesel engines around the world.